This excavator overturned Monday morning after the foundation of the building it was demolishing caved in on Main Street in Madawaska. 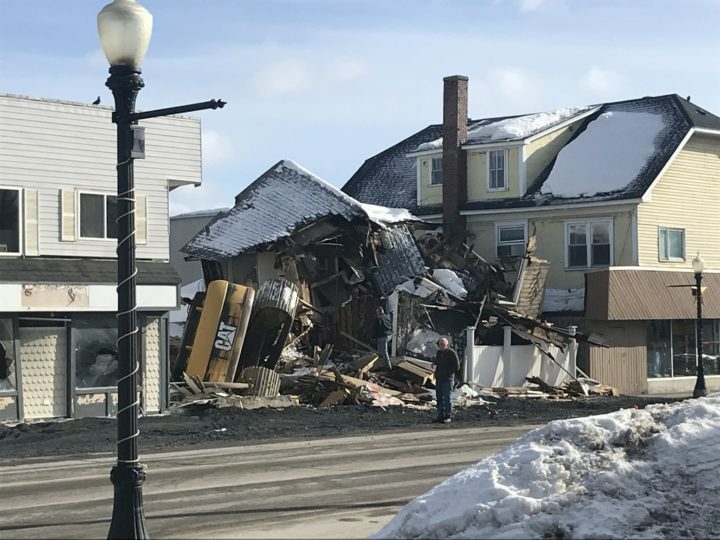 MADAWASKA, Maine — The foundation of a building under demolition on Main Street caved in Monday, causing an excavator to tip over onto its side. 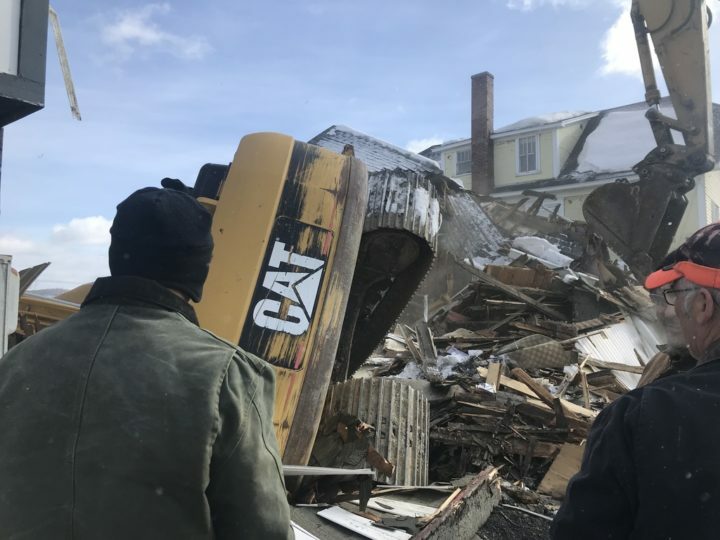 Madawaska police Chief Ross Dubois said he did not believe the Ed Pelletier and Sons employee operating the excavator was injured. 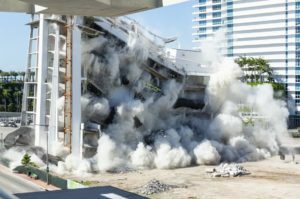 A supervisor with the contractor on scene Monday declined to speak to the media. 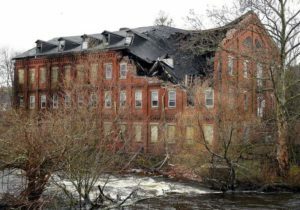 The Madawaska Board of Selectmen approved hiring Ed Pelletier and Sons to demolish two properties on 11th Avenue and three structures at 342, 344 and 346 Main St.
All the properties were acquired by the town “as part of the downtown revitalization project, to address slum and blight concerns, beautification, and to provide space for parking and green areas,” Madawaska Town Manager Gary Picard said. 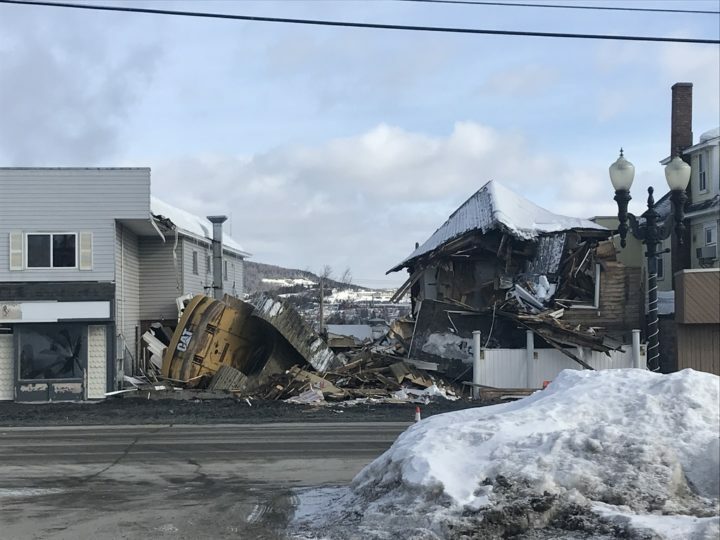 A portion of 11th Avenue from St. Thomas Street to Main Street was closed last week as demolition crews with Ed Pelletier and Sons tore down a pair of apartment and commercial buildings. 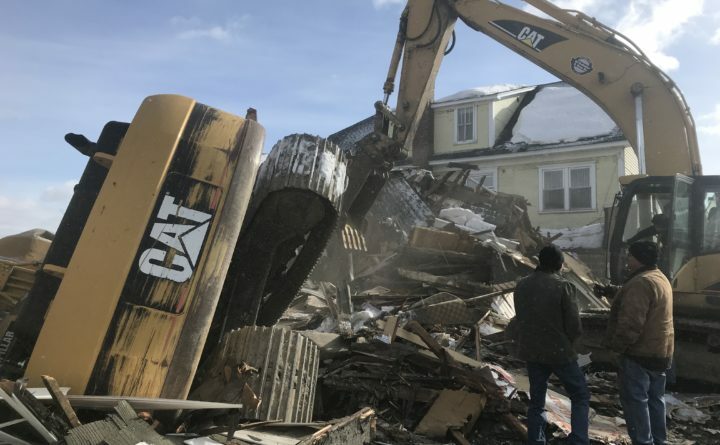 This week, the contractor laid out cones and barrels to redirect traffic on Main Street to make way for equipment and began demolishing the old barber shop. Foundation don’t “cave in” , it looks like this is a raise foundation, or maybe there was a little basement and the driver drove over the floor and when the floor could’ hold the weight of the machine it collapsed.